This tattoo represents her need to look beautiful and cute. The tattoo is inked using black color and is in the shape of a butterfly and flowers. This perhaps is one of the most talked about tattoos of all times. 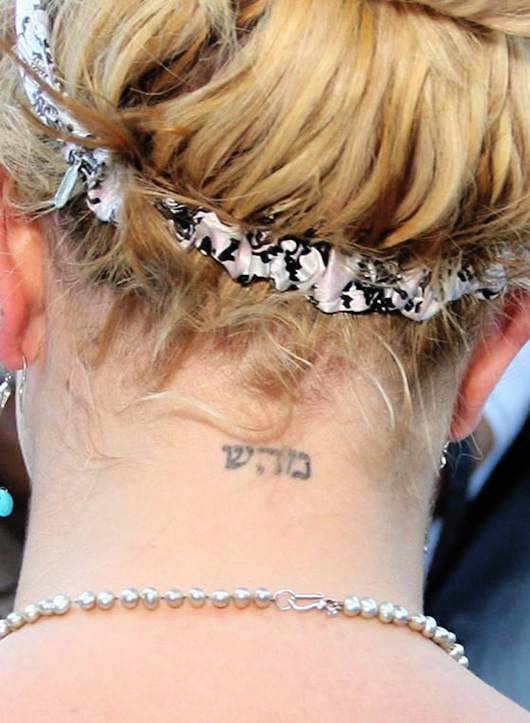 Inspired by Madonna, Spears got this Kabbalah tattoo inked on the back of her neck in black. Though, the letters were a little jumbled up, they were soon redone again. It is rumored that Britney inked this tattoo following her break up from her ex husband Kevin Federline. The literal meaning of the tattoo is God. However, the beautiful tattoo was erased some years back. This tattoo represents her need to catch the attention for all the wrong reasons. The tattoo is inked using black color and is pretty much liked by the young generation that loves all things weird. 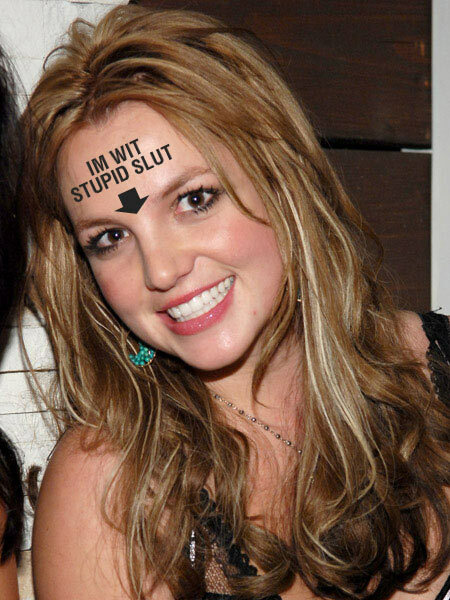 This tattoo, to some, appeared weird when Britney showed it to the world. The tattoo, however looks adorable with soft pink lips that represent her inner search for love when she was undergoing a heartbreak. Such a tattoo is easy to be inked and takes no maintenance at all! An intimate tattoo, the Cross tattoo on the left hip bone, is another cool design to flaunt. The cross is a symbol of faith and Britney got this done when she was undergoing trauma of some kind and needed to feel close to god. The tattoo isn’t very bright but still manages to catch attention just because its located on of the most famous hip bones! Who could have imagined that the two love birds, ahem..her ex husband Kevin Federline and she would part their ways after getting their wrists inked with blue and pink dices? Well… this tattoo represents the strength of a person to undertake risks and also is a symbol of luck. She got it inked on her left wrist to match Kevin’s blue dice. A very intimate place to get a tattoo, the flower tattoo is Chinese and symbolizes mystery. Yes, it has to be since we can never know what the actual Britney is all about! She is as mysterious as the sirens of mythical times. The flower is a daisy and in-between there is the Chinese symbol that adds beauty to the tattoo. 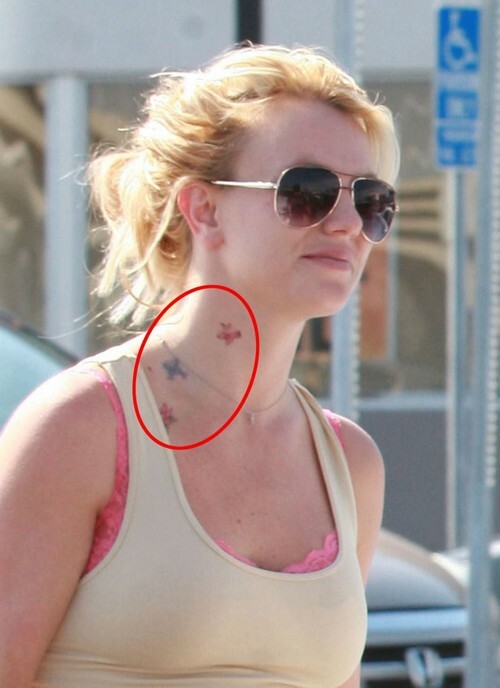 One of the tattoos that probably looks the coolest is the neck tattoo on the right side of Britney’s neck. There are three star tattoos in pink and blue that are visible to the human eye. Here we can see how chic Britney looks with her swan tattoo inked in black. The design looks quite interesting to the eyes. But….aren’t we missing out on something here? Well,we can also see a dragon peeping from her left breast and it looks quite a stunner. We can clearly see how sassy Britney’s fairy tattoo looks on her lower back that is inked in the shape of a fairy. The design just gives you all the right reasons to love Miss Spears! The above mentioned tattoos may look weird, but these are sensations the world over with girls going gaga on these pretty babies!